Like most table-top gamers I have a huge problem with purchasing versus playing. By that I mean that I am likely to buy interesting looking games and then let them languish unopened on my shelf for months. In the past year I have either been given or bought a lot of high-profile games that I still haven’t had a chance to get into – for instance Twilight Struggle, Dominion, Clash of Cultures and Ticket to Ride. Part of the problem is time, as each game takes a certain amount of time to learn and then to play. Another problem is being behind in terms of the medium itself. When I was a kid I kind of prided myself on a collection of board games numbering more than 100. After a while I lost interest, and so too did most of popular culture. Tabletop gaming was being rapidly replaced by video games, which allows better player immersion and topical stories. It was not until I wandered by our city’s first board game café that I realized how much had changed. Certainly games based on any topic or theme were gone, but table top strategy games were making a resurgence. Though these had always been part of the medium, tracing as far back as with Axis and Allies or earlier games, the new wave of games were aimed at a different crowd. The days when games littered the walls of department stores were gone, but in their place were games that were either more intelligent or more entertaining and usually both. 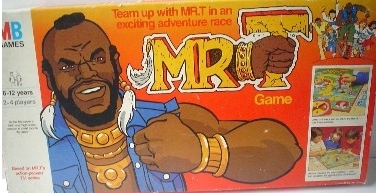 Out was the Mr. T board game, in came Settlers of Catan. The problem with being behind the curve in games though is also the fact that the gaming industry has changed. Where once the games were mass-produced for a huge market, now they are niche entities. A lot of games rely not only on fan participation through purchasing but also through just getting the things started in the first place. Kickstarter became a major avenue by which game producers could get their product financed, and true to Kickstarter, financial support by fans often led to thank you in the form of exclusive content. Being a late-comer to the resurgence meant that I missed the opportunity to get involved at all with these Kickstarter campaigns, and in a lot of cases I lost a chance at exclusive material, the only other viable source for the material being on eBay, where complete sets of exclusive material can run in the hundreds of dollars. Last night I decided it was time to crack open a new game and to give it a try. I had been leaning heavily towards Thebes, a game about the golden age of archaeology, but I ended up on a completely different topic. After a quick video tutorial from Youtube I dived into Zombicide. 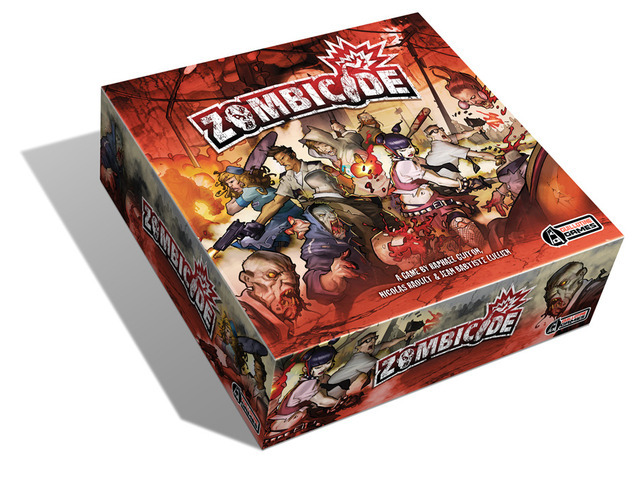 his is another Kickstarter funded game and one which has a fairly fun premise – guiding survivors through a zombie apocalypse. The first game ended in failure as my wife and I died pretty quickly, but in the second game we figured out a pretty good system and managed to beat the first scenario. This left us wanting a little more (despite that it was well past midnight.) I got into researching the game and found out to my disappointment that the game’s expandable content, other than two expansions, was mostly all exclusive to Kickstarter supporters that was never released and never would be. Most of this content was just additional player characters, and most of these were based on pop culture. 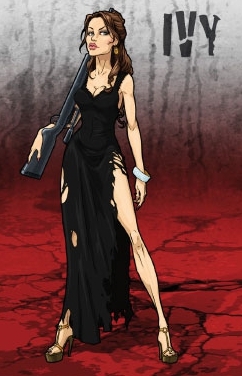 For instance, Ivy an assassin turned housewife is a direct rip-off of Angelina Jolie’s character from Mr. and Mrs. Smith. While not necessary to play the game, the additional character certainly would make it more fun, but the price would not be able to justify the benefit to the game. It is perhaps that the game makers (Guillotine Games) knew this. Among the other giveaways to the game, the company also produces blank character cards for individual customization. I looked up some of these and for instance certain people on DeviantArt have created some interesting looking characters. For someone artistically challenged as I am though, I came up with a different inspiration namely to mix two mediums of which I am a fan – board games and comic books. This is a much easier enterprise as comics has done all of the work for me in an artistic sense. 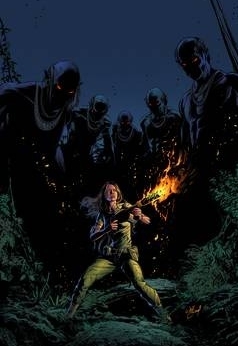 Browsing through the new releases for the next few weeks I came across an image of Faith with a flamethrower. That Faith has not been ripped off yet is a bit surprising (though the character Lea is close enough to being Buffy). Being based in a universe where they battle all kinds of supernatural creatures, living such characters through a zombie apocalypse is a fun idea, and the expansion of this game to most street-level characters is a pretty natural one. 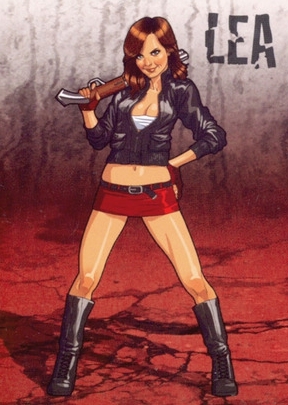 Even such characters as for instance Sally of the Wasteland, from Titan Comics would be a great fit. In a sense therefore, the company has allowed me a chance to catch up as well, only one fueled by a bit of research and my own creativity.